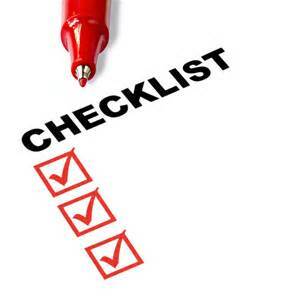 The Good Practice Checklist originated from work by Caroline Fox and Sean McWhinnie in 2003 on a joint Athena Project and Royal Society of Chemistry programme. The current version, developed by Caroline and Sean, is structured to meet the needs of departments preparing applications for Athena SWAN, and the Institute of Physics’ (IOP) Juno good practice awards. The checklist is designed for all academic departments, STEMM and AHSSBL, and all staff groups, including professional and support staff. staff. The checklist is designed with a focus on women’s careers. However, as the checklist measures good practice in the department it can be used to focus on other diversity strands. Promoted awareness of career progression and appraisal issues. Emphasised the importance of having a head of department who supports flexible working by, for example, only holding meetings during core hours. Prompted a look at how the department supported its early career staff. Helped their assessment of how jobs were advertised/the wording used. Led to an assessment of career breaks and their support for returners. Download a PDF of the latest version of the departmental Good Practice Checklist here. Alternatively, download a Word version here. ORP has also developed a institutional version of the checklist to complement the Departmental Good Practice Checklist. The Checklist can act as a guide for institutions as to the sort of activities that might be in place to support women in STEMM work at institutional and departmental/school levels. Download a PDF of the latest version of the institutional Good Practice Checklist here. Alternatively, download a Word version of the institutional checklist here. We also have an Excel version available for download.